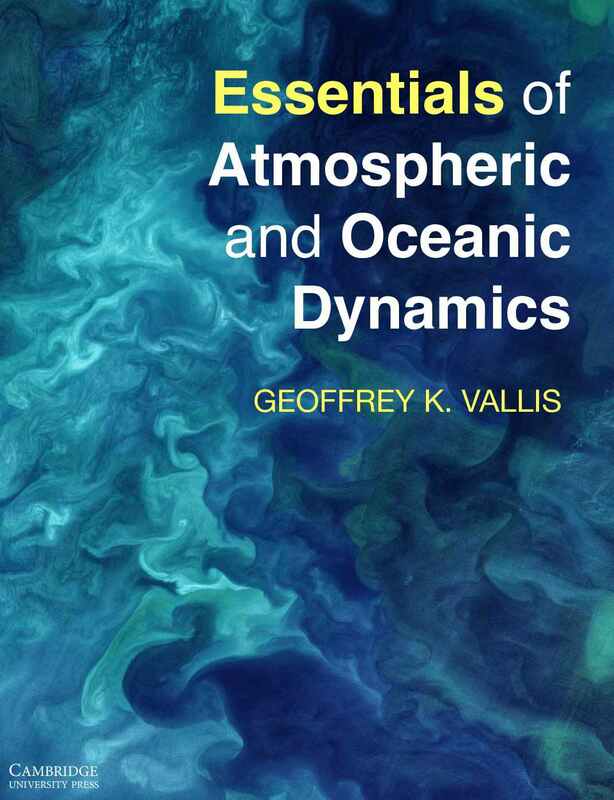 “In 2006, Vallis' first edition of AOFD offered the atmospheric and oceanic sciences community a truly great book, marking a milestone in our discipline. Well, Vallis has done it again! This second edition of AOFD represents the pinnacle of a maturing discipline. It is The Great Book of the field, and it will remain so for a generation or longer. 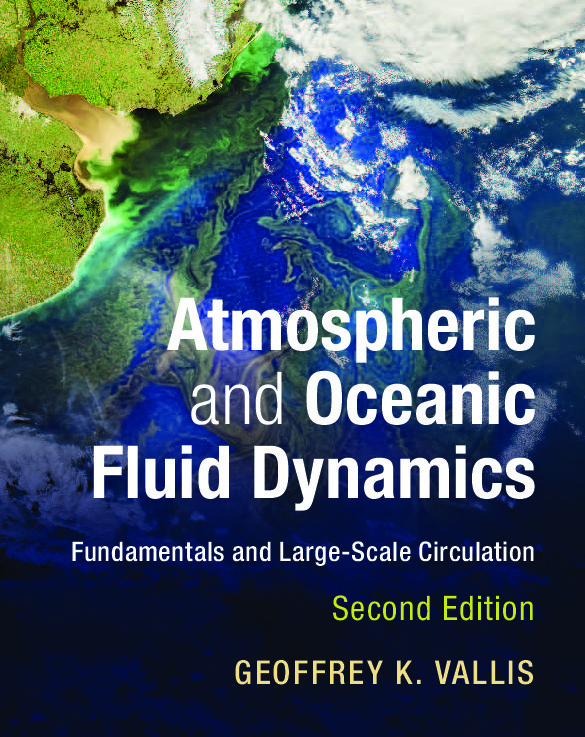 AOFD-2 dives deep into atmospheric and oceanic fluid dynamics, spanning a wealth of topics while offering the reader lucid, pedagogical, and thorough presentations across a universe of knowledge. There are really three books here: one focused on geophysical fluid dynamic fundamentals; a second on atmospheric dynamics; and a third on oceanic dynamics. Each part offers new material relative to the first edition, as well as the reworking of earlier presentations to enhance pedagogy and update understanding based on recent research. AOFD-2 succeeds in furthering our appreciation for the fundamentals by developing mechanistic and rational descriptions of the rich and complex arena of planetary fluid dynamic phenomena that emerge from the fundamentals. In turn, the reader is privileged to receive a unified presentation from a master scientific writer whose pedagogy is unmatched in the discipline. This book is a truly grand achievement. "The first edition of Geoff Vallis’s Atmospheric and Oceanic Fluid Dynamics provided an exceptionally valuable introduction to the dynamical theory of the large-scale circulation of the atmosphere and ocean — valuable for its incorporation, in a theoretical treatment, of many important topics that had developed or emerged in the previous thirty years of so, its clarity of presentation of these topics and, not least, its affirmation that a coherent unified dynamical theory for both atmosphere and ocean, is still required and can still be articulated, notwithstanding the many differences of detail between them. This second edition is a further major achievement by the author. It includes significant new material on the atmosphere and on the ocean, presented in two separate later sections of the book, but building carefully and clearly on the ‘unified’ material in the first part of the book. This is a very effective (and perhaps the only effective) way to bring the reader close to the research frontier without losing the unified treatment. The author is candid that his choice of topics in these later sections is a personal one and that others might have made different choices and presented them in different ways, but the success of this book is determined by what it contains and little compromised by what it does not contain. The second edition will be an exceptionally valuable resource for those designing advanced-level courses, for the students taking those courses and for researchers, many of whom will surely be stimulated by the clear presentation of existing theory to identify what such theory does not explain and where progress is needed." “Vallis speaks my language. He successfully weaves together fundamental theory, physical intuition, and observed phenomena to tell the story of geophysical fluid behavior at local and global scales. This multi-pronged approach makes this an ideal text for both beginners and experts alike - there is something for everyone. This is why it is the book I use for my class, the book I recommend to incoming graduate students (no matter their background) and the book I go to first when I need clarity on GFD topics. The first edition of this book has been my go-to text since it was first published. “Vallis has written a compendious account of geophysical fluid mechanics with coverage of many topics not easily found in other textbooks and research monographs. In the first five chapters the fundamentals are covered thoroughly at the level of a good introductory one-semester class required for beginning meteorologists and oceanographers. The other seventeen chapters contain a mixture of topics, all treated at the level of a research monograph. Researchers looking for an informative and coherent treatment of the dynamics of the atmosphere and ocean, starting at a fundamental level, and proceeding to advanced topics, will find that this book is a truly superb resource. William R. Young, Scripps Institution of Oceanography. "The extensive material is originally prepared and selected skillfully and didactically ... the sense of the big picture does not get lost, and the writing style is fresh ... As a whole this is a highly recommended textbook: those who would like to gain a deeper understanding of the large-scale atmospheric and oceanic circulation, and at the same time want to be provided with the necessary hydrodynamic foundations, will be served very well indeed by this book."